Here is a pro tip for all marketers planning their digital marketing strategy – maximise your attention on email marketing, while still glazing over social media marketing (SMM), in your overall mix. As antediluvian this suggestion may sound; conjuring up imaginary visions of thousands of frustrated users hitting the ‘Report spam’ in their inboxes at the sight of your next promotional email; the home truth is simple – email marketing works significantly better than marketing on social networks. A full 38 times better. In other words, for every customer acquired through Facebook and Twitter combined, a firm is likely to get 38 customers through email marketing! That is what the customer acquisition data from online predictive analytics firm Custora showed for the second quarter of 2013 – corresponding to 70 million users. Granted this data is limited to US consumers; but the magnitude of difference makes it near impossible to believe that the situation in India would be any different. Time for another statistic. The latest Custora data released for the first quarter of 2014 says email marketing drove 18% of all online orders, while social channels drove just 1% (note that orders are different from customers). Also, organic search is the single most important customer acquisition channel – generating 24% of all orders. Another 20% of orders were driven by search engine marketing (SEM). More interestingly, Custora also found that the customers acquired through emails are likely to generate significantly higher sales over a longer period; compared to those acquired through Facebook and Twitter. The predicted Customer Lifetime Value (CLV) of customers acquired through email marketing stood at 12%, compared to 1% for Facebook; and a negative 23% for Twitter (all percentages relative to the average CLV). Simplified – if your average CLV is Rs. 100 -meaning that your average customer spends Rs. 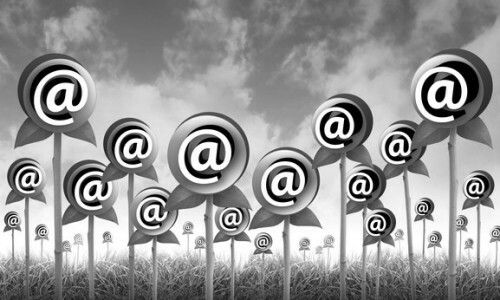 100 over his/her lifetime – your average customer acquired from email will buy goods worth Rs. 112 over his/her lifetime, and one from Facebook will buy goods worth Rs. 101, whereas Twitter-sourced customers will only buy goods worth Rs. 77. What these findings mean is that firms looking to generate online sales may be well advised to focus their prime efforts on email marketing, while still maintaining a baseline outreach via social networks. Better still, an integrated strategy may lead to more effective customer acquisition and retention. On the flip side, what remains unanswered is the role social network marketing can play in building a brand’s equity among consumers – never mind that that itself is a topic for a separate blog post, or a few. The single biggest accusation against email marketing is that it is often indistinguishable from spam, ending up annoying a significant number of users. If marketers can minimize this outcome – email marketing is a very good game to play.